Home connectivity can enhance an atmosphere of peace if you approach it wisely. 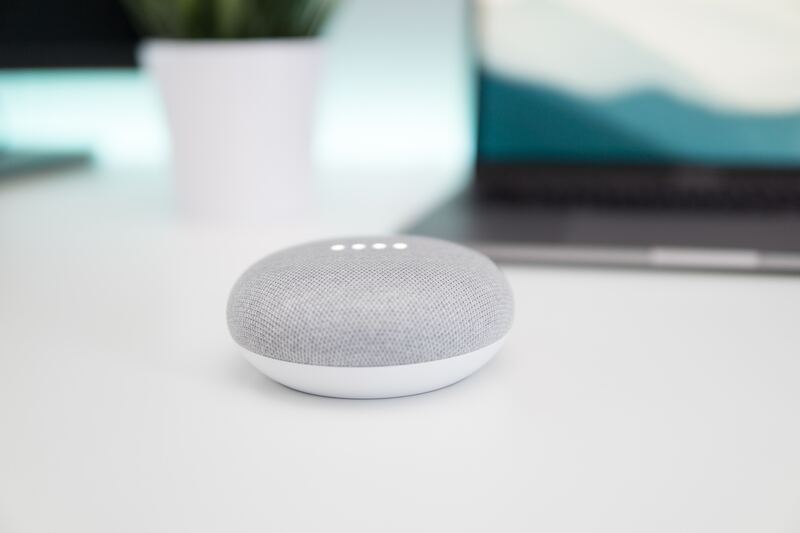 Back in 2015 a report by the Groupe Spéciale Mobile Association found that one in four people in Germany, Japan, the UK and the US owned a connected device—and that 89 percent of respondents hoped for seamless connectivity between their home devices in the future. Of course, the Internet of Things has evolved rapidly in the three years since that study was released, and smart home technology has become exponentially more popular during that time. Anyone who wants to fully integrate smart devices and automations throughout their home can do so now, even without any expert knowledge. With the rise of home connectivity comes the valid concern that too much technology could disrupt your home’s fragile balance of peace. After all, the study of possible links between technology and anxiety has grown into its own field of research within the psychology community. Parents worry that their teens will turn into social media zombies while spouses diligently try to put their phones down on date night. So why add more stress to the daily routine by increasing your reliance on technology? The key is to use it wisely, rather than feeling like you’re being used (and abused) by technology. Technology doesn’t have to foil your attempts to maintain a peaceful existence. In fact many devices are designed not to complicate things but to simplify. Transparent technology is the kind of technology that fades into the background when you use it, to the point that you often don’t think about it existing. For example, after you program your thermostat, it typically operates with little to no user interaction, aside from the occasional adjustment. When you set up smart home integrations, aim for the same effect. Set up routines that will support a peaceful atmosphere—whether that’s dimming all the lights after sunset or lowering your bedroom temperature as you climb under the covers. Focus on using integrations that require little to no daily maintenance from you, thus clearing time in your routine when you can relax. There’s not much worse than trying to set up smart home automations that end up requiring more energy to maintain than if you just eliminated the tech aspect completely. Tech companies make all kinds of smart gadgets nowadays, so there is truly something for everyone who desires greater home connectivity. But you can easily get lost in the world of smart home devices if you don’t know what you’re looking for. Rather than buying anything and everything just because it’s compatible with your smart home system, keep things simple by identifying the areas of your life where you’d most appreciate connectivity, and purchase only those items. For example, if you are a frequent coffee drinker you might want to invest in a coffee machine that starts brewing before your morning alarm. Meanwhile, you might have no need for a robot vacuum cleaner or a smart sprinkler system. Some products seem appealing or flashy but end up in a closet because they hold little practical value for certain users. Technology can help amplify peace in your home, or it can entirely disrupt a once-calm atmosphere. If you approach your home connectivity thoughtfully, you can use it to the advantage of your well-being and peace of mind.